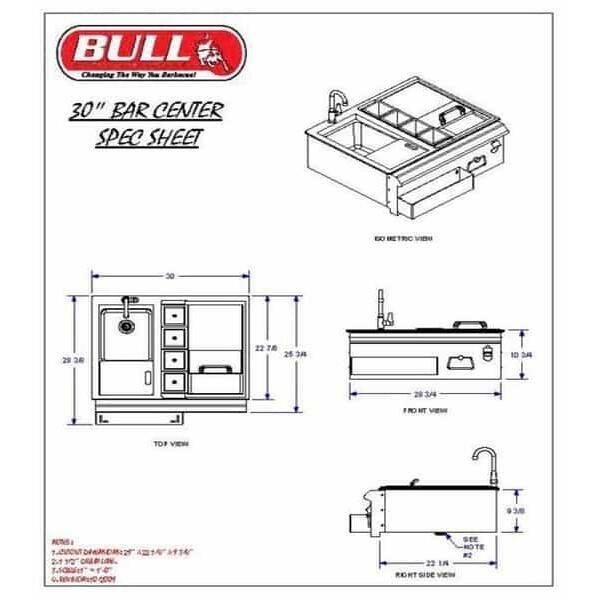 Install a compact and elaborate outdoor kitchen in your outdoor living space with one item. 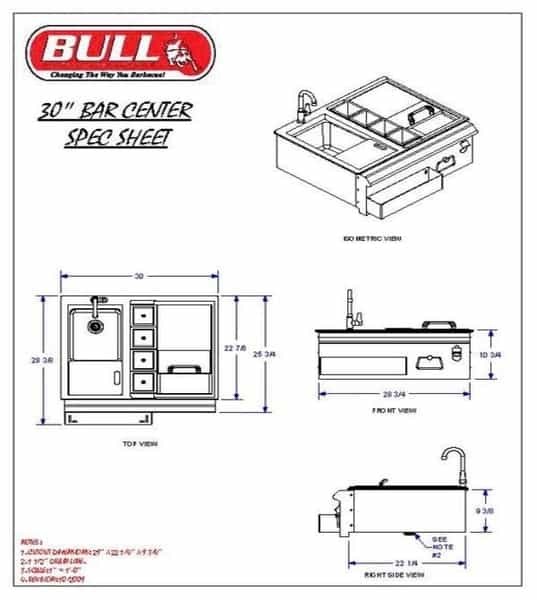 Your grill area changes immediately into a full-service kitchen with the Bar Center with Sink by Bull Grill. The cutout slips into existing outdoor islands and outdoor kitchen cabinetry. 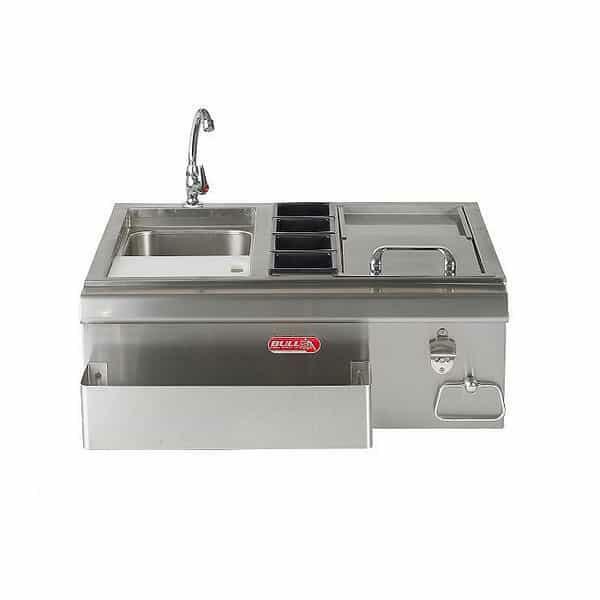 It includes a built-in sink, garnish containers, and a cutting board. Each component is made of stainless steel so that it can withstand the weather outdoors 365 days per year.